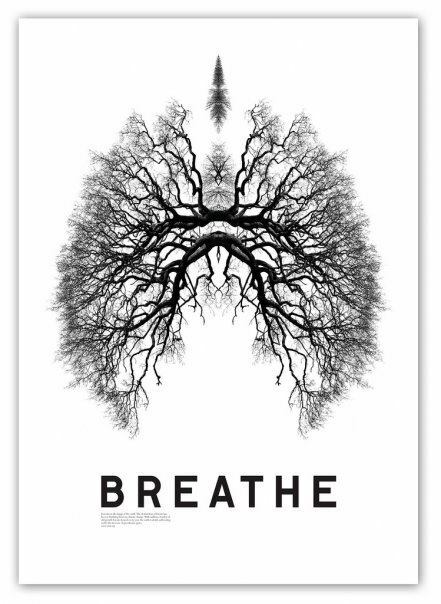 When we are told to “breathe deeply” most of us tend to take deeper inhales. However, if we don’t make room for those inhales, we will not get very far. In fact, trying to force more air into the body can cause tension – the very thing we are trying to alleviate by breathing deeply! So, my tip for breathing deeply is to practice letting your exhales be fully complete. Get comfortable in your seat and bring your attention to the coming and going of your breath. Slowly start to give more attention to your exhales and begin to give them a little more space and time. When you feel like your exhale is over, rest a moment and see if any more exhale can leave you. Allow the inhale to passively enter, not forcing it. Begin to notice that there is a small space at the end of your exhale, before your inhale and allow that space to be there. Rest into that space. Continue to allow the exhales to be as full and complete as possible, resting in the pause at the end of the exhale, and then letting the inhale enter the body when it is ready. Do this whenever you think of it, whenever you have a moment. You could also make time to do this as part of your daily practice and start to incorporate it into your yoga practice. These long exhales will start to train the body to breathe deeply in a more natural way without forces or strain. Remember: if you want new breath to come in, you must make room for it!